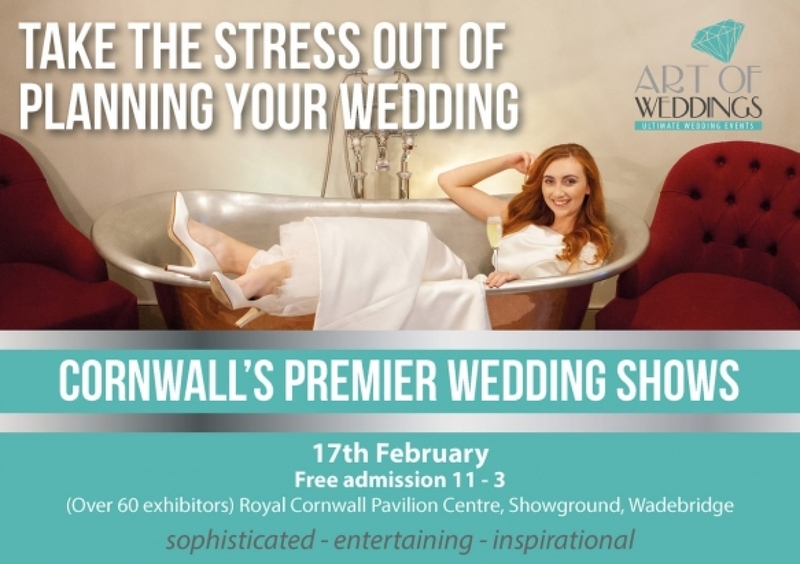 For a fresh start on wedding planning, clear your schedule for Art of Weddings at Royal Cornwall Showground on Sunday 17th February (11am-3pm). The iconic Royal Cornwall Pavilion is Art of Weddings’ flagship location, offering a contemporary space with spectacular views over the surrounding areas. With over 60 exhibitors in attendance, expect a host of expert and talented suppliers and makers who will be on hand to offer a variety of services and products to help plan and provide for your perfect day, as well as some fabulous entertainment.